The safest alternative for people who cannot tolerate prescription and non-prescription OTC oral pain medication. It stimulates and supports your body's desire to ""Heal the Cells that are Causing the Pain"". Topricin is safe effective and ideal treatment for the entire family and for all skin types. Topricin is moisturizing, non-irritating, odorless and non-staining. It supports the body's natural processes that work to Heal the Cells Causing the Pain. Topricin has 22-years of history in the medical community and is used by hundreds of thousands all over the world. 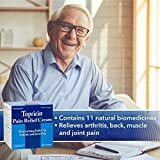 Topricin has been bringing superior, safe, effective pain relief to the Medical and Natural communities since 1994. 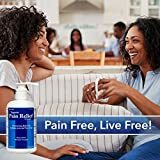 SAFE AND EFFECTIVE NON-PRESCRIPTION PAIN RELIEF - Topricin is a safe choice for anyone looking for natural, proven pain relief. FAST ACTING & LASTS LONG! 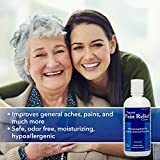 - Apply Topricin where you experience Tingling Pain, Numbness or Discomfort whether originating from your Back, Neck, Joints, Feet, Hands or Knees! DEEP PENETRATING SUPPORT - Apply moisturizing, odor-free cream liberally as needed, for best results. 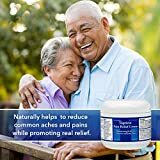 ALL-NATURAL, GMO-FREE AND HYPOALERGENIC: Topricin Pain Relief Cream contains only natural biomedicines and is well-tolerated by all users. 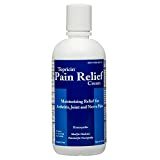 Interested in the Topricin Pain Relief Therapy Cream (8 oz) Fast Acting Pain Relieving Rub? Is the price too high? You can easily price watch this product and we'll notify you when the price reaches your target.